Past performers include: Adam Bohman, Akio Suzuki, Alasdair Roberts, Alex Neilson, Atsuhiro Ito, Bo Ningen, Bushmen's Revenge, Carla Bozulich, Chirs Corsano, Chris Abrahams, Christian Marclay, Damon & Naomi, Darcy James Argue's Secret Society, David Grubbs, Diane Cluck, Dolphins into the Future, Eddie Prévost, Elephant Micah, Evan Parker, Grouper, Haco, Han Bennink, Henry Flynt, Howe Gelb, Ig Henneman, Ikue Mori, Jack Rose, James Blackshaw, Jandek, Joe McPhee, John Butcher, John Sinclair, John Tchicai, John Tilbury, Josephine Foster, Kan Mikami, Kath Bloom, Kazuhisa Uchihashi, Keith Rowe, Keiji Haino, Ken Vandermark, Lawrence English, Lichens, Lol Coxhill, London Improvisors Orchestra, Loren Connors Louis Moholo-Moholo, Maher Shalal Hash Baz, Marshall Allen, Mats Gustafsson, Matthew Shipp, Meg Baird, Mt. Eerie, MV+EE, Nicolas Collins, Okkyung Lee, Oren Ambarchi, Otomo Yoshihide, Paal Nilssen-Love, PAAP, Pamelia Kurstin, Paul Metzger, Peter Brotzmann, Peter Walker, Philip Jeck, Phill Niblock, Richard Youngs, Roger Turner, Satchiko M, Scout Niblett, Sean Lennon, Shelley Hirsch, Shuichi Chino, Skaters, Steffen Basho-Junghans, Steve Beresford, Sunburned Hand of the Man, Tatsuya Yoshida (Ruins), Tenniscoats, Terry Riley, Tetsuya Umeda, Tetuzi Akiyama, The Sun Ra Arkestra, Thurston Moore, Tim Hecker, Tori and Reiko Kudo, Toshimaru Nakamura, Tujiko Noriko, Wildbirds & Peacedrums, Yoko Ono and many more. 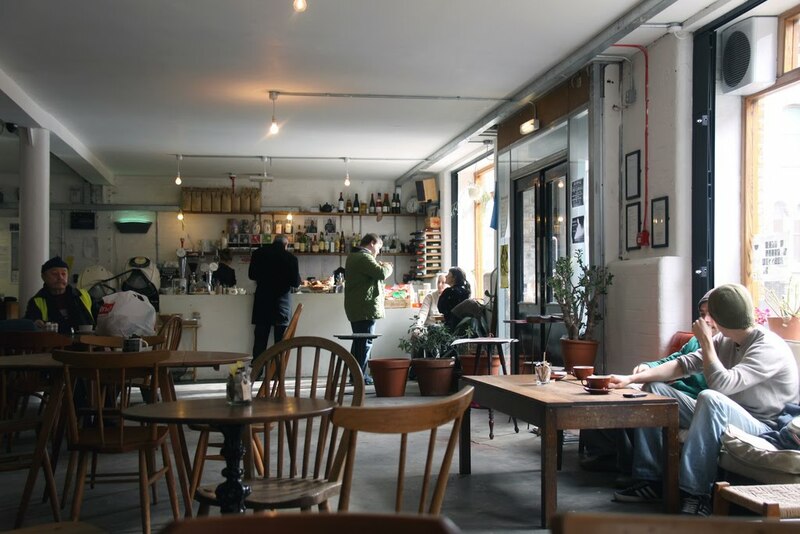 OTOProjects is a not-for-profit Community Interest Company (CIC) that has been set up to manage the programme at Café Oto. 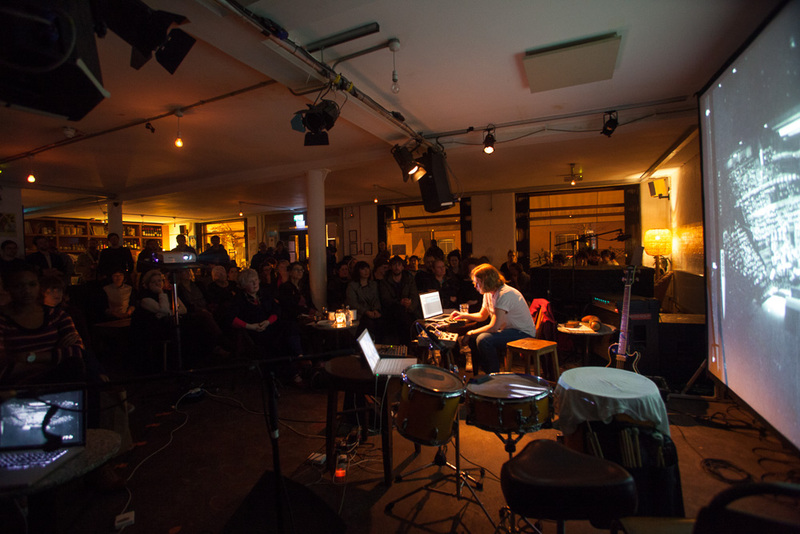 In addition to managing and delivering the programme of live events at Cafe Oto most evenings, OTOProjects is also developing new strands including workshops, film screenings and salons that will run alongside the core programme. OTOProjects is also working with artists and institutions in the UK and abroad to expand the programme beyond the walls of the venue. Keep and eye on this page and on the Café Oto programme page for forthcoming events. You can also sign up for our email list or follow us on Twitter. Background images by Andy Newcombe, Marie Roux, Close to 94, Fabiolug. An evening of experimental sound and image organised together with and taking place at the South London Gallery. The event included a solo live performance by Russell Haswell with large-scale phase scope projections, a premiere presentation of new music from Jim O'Rourke commissioned especially for the occasion and a rare screening on 16mm of Marc Hurtado's (Étant Donnés) film Bleu and short performance by the artist. Keiji Haino has been at the forefront of the Japanese avant-garde music scene for four decades. A captivating solo performer, he has played two sold out residencies at cafe oto that have demonstrated his versatility - from fleet fingered duo encounters with Peter Brötzmann and Steve Noble to the insane dynamic range of his solo vocal incantations. We've always wanted to work with Haino to present some of more adventurous rock-informed projects and Haino's reinstigation of Fushitsusha is his most potent realisation of rock music's primal energy and radical potential. Made possible with the support of the Goethe Institut, this was a celebration of Peter Brötzmann's 70th year and the first London appearance of his Chicago Tentet - one of the great ensembles of improvised music. The whole three days was met with incredible enthusiasm and garnered strong reviews. The third day of the residency was also recorded and broadcast on BBC Radio 3. 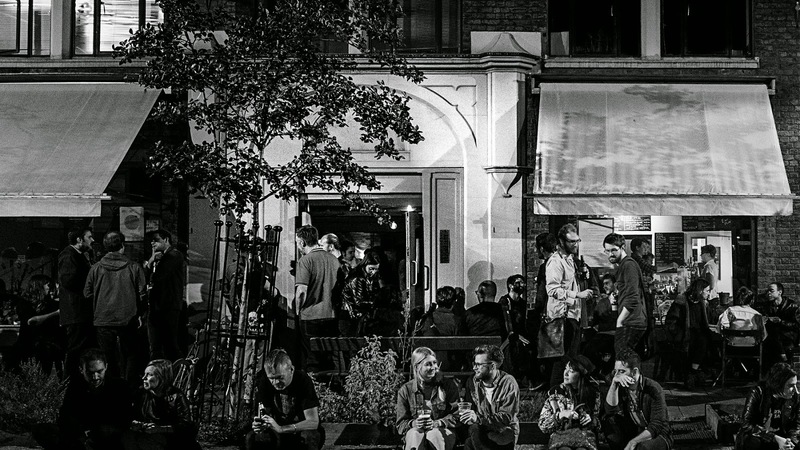 SAM/OTO is a pilot commissioning project conceived by Sound and Music and Café Oto to provide grass-roots event organisers with the resources and opportunity to produce bold new programming here. In spring 2010 we issued a public call for new event proposals of any genre, format or description. The only stipulation was that they must have a leaning towards experimental/fringe/underground activity and feature artists from outside the UK who have not previously performed at Café Oto. After receiving almost 200 submissions from all over the globe, four were selected and awarded £2000 towards their development and realisation. A series of concerts in April and May 2011 curated by Israeli musician Maya Dunietz. The events included performances by Oren Ambarchi, Joe Talia, Christoph Heemann, Daniel Higgs, Assaf Talmudi, The Rebel, Perpetuum Disco, Fritz Welch, Keren Rosenbauma and four piano quartet with Steve Beresford, Tania Chen, Veryan Weston and Maya herself. We paired up with The Barbican for two days will the brilliant Japanese drummer Tatsuhisa Yamamoto. Yamamoto is the rising star of Japan's experimental music scene. At OTO he was joined by Polar Bear's Seb Rochford (Drums) and Leafcutter John (Electronics) and at the Barbican he tore it up in a duo with UK improv mainstay Pat Thomas - one of the scene's most distinctive keyboardists.